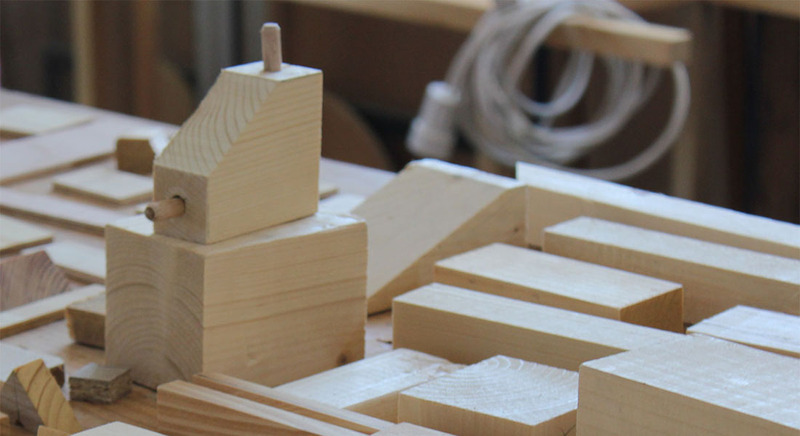 The wooden blocks of this workshop are everywhere, and waiting to come to life. If I join this one and that one I can make an animal, if I stick that one to the other I have a house that even rotates and if I hammer these bits I can make incredible characters. Come have fun and rethink shapes and pieces of wood to give them a new life.